Head of the Kardashian clan, Kris Jenner has gushed over Kendall Jenner, explaining why she is a proud mama. 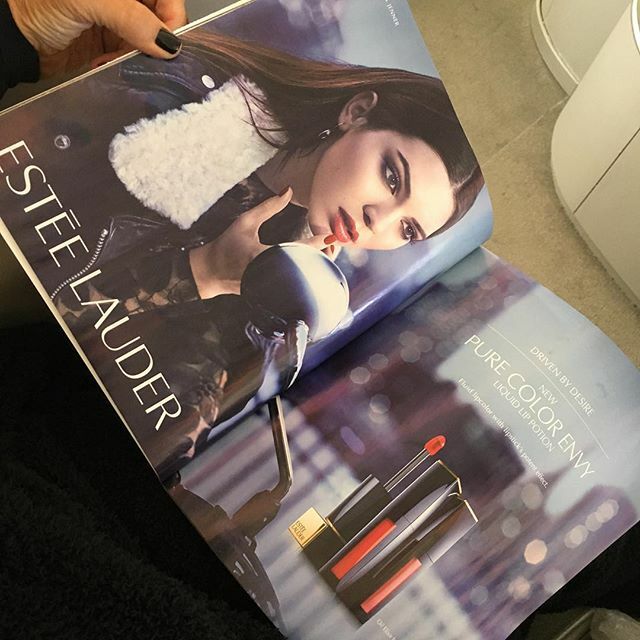 The 59 year old who says she is in tears, wrote alongside a shot of Kendall in the pages of a magazine . Getting her rest for what will be another whirlwind of fittings/fashion shows/endless Glam/meetings/runways/dinners and events... All done with joy and exhilaration and excitement and professionalism and intensity and focus... From my little girl who all she ever dreamed of was becoming a Model and working in fashion. Not sure anyone else might understand why I am a crying sobbing mess in my seat, when actually I feel like my heart could burst because I'm a #proudmama . Every Mother hopes and dreams that their children can reach for the stars and dream big... Well, if you really work hard, you can have just about anything you can possibly dream up. #nevergiveup #thankyou #esteelauder #inspiration #grateful #appreciation #ittakesavillage #thankful #supermodel and most of all... #love"